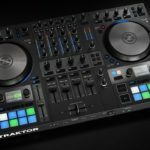 Traktor Kontrol S4 mk3 flagship DJ controller – what’s new? 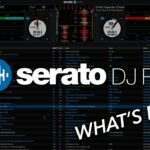 You are here: Home / Tech Corner / Tech & Gear News / Traktor Kontrol S4 mk3 flagship DJ controller – what’s new? Native Instruments just launched their new range of products, including the brand-new, redesigned Traktor Kontrol S4 mk3 flagship DJ controller. 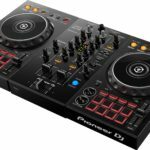 The biggest improvement in the new Traktor Kontrol S4 mk3 comes in the form of a redesigned jog-wheel, Native Instruments have gone all out with the jog-wheel on their latest release of the flagship controller. The new Traktor Kontrol S4 sees the introduction of “Haptic Drive’ technology into the jog-wheels, that means you get physical feedback of cue points and loops when scrubbing the jog-wheel. The jog-wheels are also larger and feel much more realistic and feature an illuminated LED ring for transport feedback. Each deck also features a screen which displays the track’s metadata. This makes it much easier for digital DJs to step away from the screen and focus on the music and the audience, because they have enough feedback on the decks themselves. The new Traktor Kontrol S4 now has three selectable jog-wheel modes, to fine-tune your performance and the LED ring changes depending on your track and mode selections. The new controllers feature larger, dedicated performance pads for remix or stems decks, and eight new instant one-knob style mixer FX. What’s new on the S2? 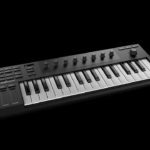 The new Kontrol S2 mk3 features less innovative new features, however the core focus with the new Kontrol S2 is simplicity, portability and a club-style layout. 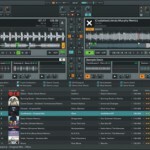 Native Instruments have removed the advanced FX section, to make way for larger jog-wheels and a smaller form-factor. The new Kontrol S2 mk3 has the new Mixer FX integrated, so the lack of advanced effects is not a train-smash. 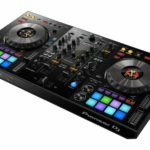 Native Instruments have done away with the “Mirrored Style” layout on both new Kontrol series units, in favour of the “Club standard” layout, making it easier for DJs to transition from their home setups to club setups. They’ve also introduced an iOS port alongside the USB port to make connecting to an iOS device much easier. For more information check out the Native Instruments website. Native Instruments is distributed by Tuerk Music in South Africa, visit their website to find your nearest stockist.